Panther TEK is once again holding a special holiday fundraiser to help Empty Bowl Pet Food Pantry which is in desperate need of donations to keep operating. 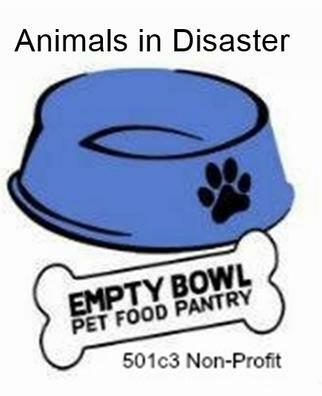 Empty Bowl specializes in distributing pet food and related items to those facing emergency and disaster situations. They mainly focus on helping veterans and anyone facing a crisis get items needed for their animals. They’re needing monetary and pet food donations as well as other items to get through the holidays. Panther TEK which is holding the fundraiser is donating a portion of every gift certificate for their services they sell during Small Business Service Week to the organization. Small Business Service Week runs from December 12th – 18th. “If Empty Bowl is forced to shut down their operations it will hurt a lot of people and their animals throughout Arizona. They have been there to help both members of the public and the other animal rescue organizations get through a lot of emergency situations when it comes to taking care of their animals. It’s time we helped them get through their emergency now,” said Nohl Rosen, Panther TEK’s owner who also himself volunteers part-time in the animal rescue community. Small Business Service Week was created by Panther TEK to encourage consumers to support businesses during the holiday season where service is the number 1 product that they sell. A lot of times service based businesses get overlooked during the holidays especially on Black Friday and Small Business Saturday. “Most people never think about the service based businesses during the holidays. Giving the gift of service to someone on your Chanukah or Christmas list is a unique idea and you’ll find quite a number of these types of businesses have gift certificates or cards available for purchase,” Rosen added. For more information about Panther TEK and its services feel free to call 480-980-8541 or visit their web site at www.panthertekit.com.